Google is using some Bacon Ipsum for their design guidelines, down in the Feed Reader sample. 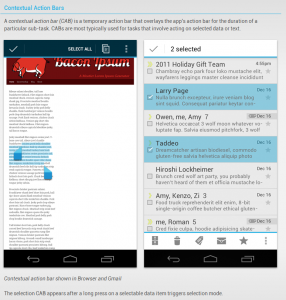 The Bacon Ipsum app is now available on the Android Market. I’m not sure how useful it will be, but hey, there it is. It doesn’t require an internet connection, so you can use it on a plane, on a train, in a box, with a fox, etc. 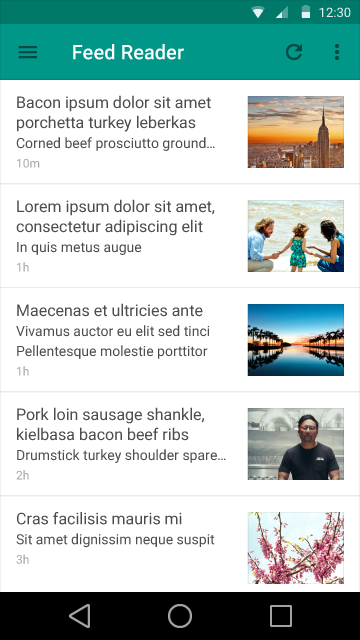 Google recently published a new Android Design site and used a screenshot of Bacon Ipsum. Check out the Contextual Action Bars section. Who do I talk to about naming the next version of Android “Bacon, Lettuce & Tomato”?